Provide comfort for the family of Ms. Dorothy Bohenkamp with a meaningful gesture of sympathy. To send flowers in memory of Ms. Dorothy Bohenkamp, please visit our Heartfelt Sympathies Store. We encourage you to share your most beloved memories of Ms. Dorothy here, so that the family and other loved ones can always see it. You can upload cherished photographs, or share your favorite stories, and can even comment on those shared by others. From the 777 Craig office members. sent flowers to the family of Ms. Dorothy Bohenkamp. From the 777 Craig office members. Dear friend and cherished colleague, rest in peace. Our heart felt sympathy to your family and loved ones. From the 777 Craig office members. 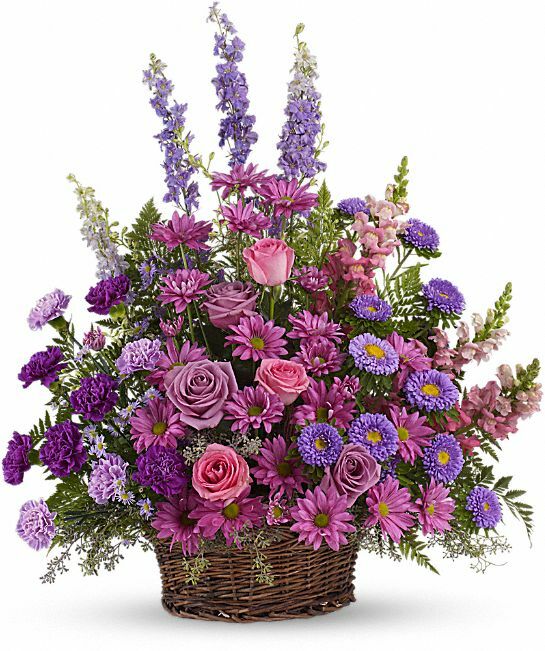 purchased the Gracious Lavender Basket for the family of Ms. Dorothy Bohenkamp. And lets not forget the promise found at John.6:40.of the resurretion hope.pkease feel free to visit our website at JW.ORG. for more information .